Over the last few years we’ve watched the handwringing over social media and its usefulness evolve into campaigns with large social tie-ins, and stand-alone social campaigns. One of the industries that embraced this early- with both success and failure- was the automotive industry. Cars are seen as a necessary purchase for many households, particularly in cities where no reliable public transportation exists. While Millennials are buying fewer cars right now, that doesn’t mean they won’t be doing so in a future of improved economic prospects. Smart automotive companies are targeting the next generation of car buyers on the social networks where they hang out. YouTubers don’t just spend time on YouTube either; they use platforms like Twitter to increase their exposure, find new viewers and subscribers, and connect with fans new and old– along with other YouTubers and brands. Reason enough to remix it. 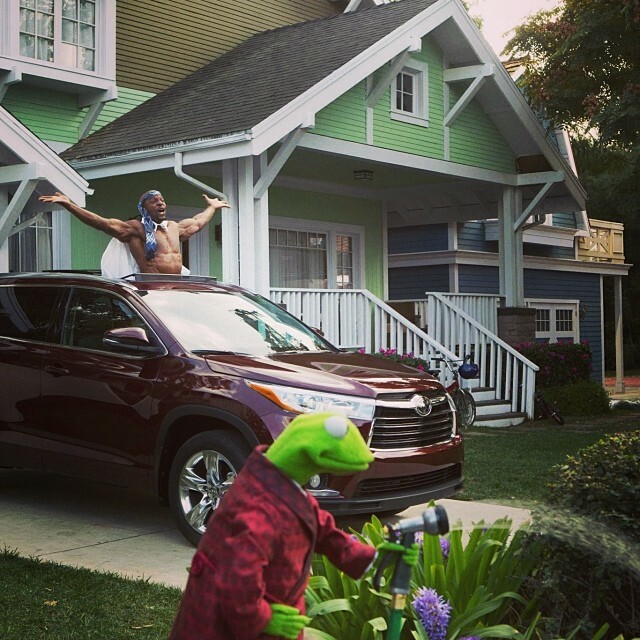 Other notable campaigns include an effort from AutoTrader, who put the fate of a car hanging over the Thames in Twitter’s hands, and more recently Toyota, who partnered with The Muppets around their latest movie Muppets Most Wanted to let the public know their Toyota Highlander has #NoRoomForBoring. Launched around this year’s Super Bowl, the ad campaign featured massive social tie-ins, with related tweets and posts to Instagram from both companies. We took a look at their Super Bowl results after the game (along with other brands), and partnering with lovable, family friendly Muppets was definitely a wise choice for Toyota. 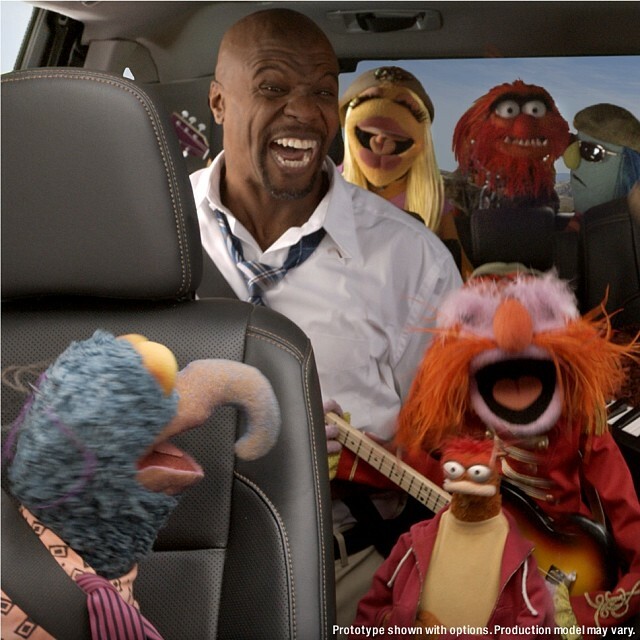 They’ve continued the brand partnership and campaign through the premiere of Muppets Most Wanted. Who is my target audience? Specific demographics tend to spend more time on specific platforms. Do the research and go where your people are. Where do they hang out? Obviously whichever platform that is, is where you’ll want to be. If you’re a luxury vehicle brand, you might want to use Instagram to show off stunning visuals of your vehicles, tapping into the aspirational among Instagram users. How do they talk in that space? Pay attention to how your target audience speaks to their friends, to brands, and just about brands. The golden rule of social media marketing is always listen first. How do you, as a customer, like to be approached? Everyone has had good and bad customer experiences. Reflecting on your own can help in building a good experience for others. Talk to your audience and with them, not at them. This is why listening is so important. Present your content in a beautiful and compelling way. Looking and listening can also inform the storytelling you’ll be doing on any platform. It should be high-quality, compelling, useful, and beautiful in form and function. When you’re approaching someone on a space they use for social interaction with their friends and family, be respectful of their time and attention so they won’t resent your presence and think of it as an unwanted invasion. Involve your audience. The successful campaigns we referenced earlier have been interactive and smartly researched. The campaigns involving user-generated content that have backfired didn’t take the time to understand the audience they would be involving– and the audience shot back. There is no one right answer to this, because every company’s goals are different, as are the goals of every campaign. A lot of this is going to depend on how you answered the questions in the previous section; certain tactics will be more successful with different demographic groups and on different platforms. Twitter is “especially appealing to 18-29-year-olds”, but there are “no significant differences by gender, household income or education” according to Pew Research via Marketing Charts. The same survey found Instagram to be especially appealing to women of the same age group. Do your research and use demographic information like this to tailor your campaign message for each platform, speaking to your target audience in the platform’s native language and to whomever you’re trying to reach there. If you want to gain new fans and followers, share of voice will be important alongside paying attention to the reach of your campaign; don’t just concentrate on vanity metrics like the number of followers you have (though these are good baseline indicators). If you want to see how a new Twitter campaign has improved over past campaigns, you’ll need historical Twitter data. Need more references and help? Check out The 5 Easy Steps To Measure Your Social Media Campaigns, or shoot us an email to see how we can help. We’re always here.